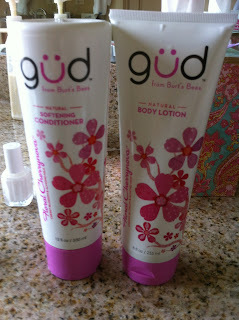 Yes, this smells so good and it's even better that you can find it at Target Boutique! Mom found it when she was here last week and put it in her bathroom here. Guess she didn't like the soap and lotion I had for her!!!! Don't worry mom....I bought my own so I'm not using your private stash here! It's paraben free and good for the body! Hope everyone had a good weekend. We kicked off the baseball season with Jack's first tournament this weekend. They lost 2 out of 3...not a good way to start. They haven't played since last June and it was chilly....I'll give them that. Have seen this there but have never tried it. Will have to stop and give it a smell! Thanks OG for starting something! Glad you girls approve! Getting some for Florida too! Picked up the orange today - Vaughn and I are smelling good! Or should I say gud! Scan the back of your bottle for a $1 off coupon for next time!